Wonderful april is bringing days to make the spiritual and materialistic life better. This april 2014 is very important for the spiritual practitioner as well as the common men too. Here in ASTROSHREE you will get the details of important days of April and you will also get the tips to make your april successful. April holidays, April 2014 celebrations. Important teej and tyohaar of April 2014. Plan your april, enjoy your life, plan your holidays, poojas etc. 1. Navratri till 8th of April 2014. This is the best time to perform spiritual practices. It is good to worship 9 goddess in navratri. 2. Durga astmi is on 7th april , Monday. 3. Shre Ram navmi is on 8th April 2014. 4. Ekadashiis on 11th april. 5. Mahavir jayanti is on 13th april. 6. Poornima and Hanuman Jayanti is on 15th april. 7. krishna paksh ganesh chaturthi is on 18th april. 8. 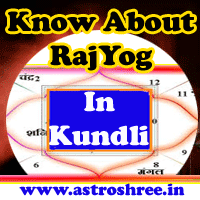 Chetichand or Jhulelaal Jayanti is on Ist April 2014. 9. Krishna paksh gyaras is on 25th april. 10. Amavasya is on 29th April. So enjoy the april month, perform spiritual practices, enjoy celebrations with friends, family, neighbours etc. April auspicious days, April 2014 celebrations. Important teej and tyohaar of April 2014.